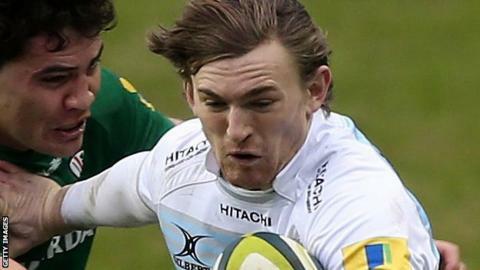 Full-back Simon Hammersley has signed a two-year extension to his Newcastle Falcons contract. The 22-year-old established himself as a Falcons first-grade player in his debut season at Kingston Park, finishing with 24 appearances. He signed in the summer of 2014 after he graduated from Durham University. "It's a very exciting time to be involved at Newcastle. The club is making great strides forward and I am happy here," Hammersley said. "I've had some great exposure in the first team and am very much looking to continue my form from last season and helping the team and ultimately the club achieve its goals." Director of rugby Dean Richards said: "He made an immediate impact on our game at the start of last season and we're looking forward to seeing him continue to grow and develop throughout the seasons to come."